Physiotherapists play an important role in keeping people moving, whether it be for maximum performance in athletes and people with chronic health conditions. They also have an impact on patients who require rehabilitation after events such as surgery or a catastrophic accident. It can be rewarding to see patients reach their goals. Australian physio Sarah Flanagan has worked in the UK and the Middle East. The Australian Physiotherapy Association has been working towards a career pathway for physiotherapists. Victorian based physiotherapist Phebe Liston explains how her career in physiotherapy allowed her to create multiple business avenues like the e-commerce business she is currently working on. Perth based physiotherapist Jo Milios set up a not-for-profit exercise group for men with prostate cancer and is a campaigner for men’s health. Competitition to work with elite athletes – Many young people will become interested in physiotherapy as a career as they dream of working with elite athletes. While this is definitely possible, there is a lot of competition for these positions. The Head Physiotherapist for the Australian Olympic Team for the London 2012 Games gives her tips here. Musculoskeletal disorders – Ironically, it is common for physiotherapists to suffer from work-related musculoskeletal disorders. This can involve pain in the upper and lower back, the neck, shoulders, wrists, hands and ankles. Many physiotherapists start having symptoms in their first 5 years of practice. On top of the physical side, physio Nick Schuster has spoken about his experience with burnout. A self-care plan needs to be considered if you would like a long career as a clinician. Physiotherapist Georgie Davidson has given an account of how her clinical career has had longevity. Professional standards – To become a physiotherapist, there are 9 standards you will need to meet, as set by the Australian Physiotherapy Council. There are annual continuing education requirements that you have the obligation to fulfill. What do physiotherapists do and where do they work? Most people are aware that physiotherapists can work with Olympians and other elite athletes/groups such as AFL teams. One of the important roles they play here is in the area of injury prevention. There are career pathways in the public health system, as well as opportunities in the Australian Defence Force. Some private practitioners are also expanding their practices to offer Pilates classes. There are also opportunities are for cross-referrals with other practitioners. Physiotherapists can also have a role in the rehabilitation in scenarios such as an adult returning to work or in treating kids to have been pushed too far on the sporting field. There are some physiotherapists who concentrate on the area of urinary incontinence. Some physiotherapists will have an interest in becoming a hand therapist, and there is also the opportunity for physiotherapists to work with people who have disabilities. Arthritis and musculoskeletal conditions are a large national health priority area in Australia. There has been some controversy as to whether physios referring patients directly to medical specialists (e.g. orthopaedic surgeons) is a cost-saving measure or fragmenting care. Physiotherapists are now able to complete a course to become a credentialled diabetes educator, and there is also the future possibility that they will be able to prescribe some medications, particularly those for pain and breathing, however, this may take a number of years to occur. It is also possible that critical care physiotherapists will be using techniques such as lung ultrasound in the future. Since 2015, the Australian Physiotherapy Association has been fighting for the right of physiotherapists to prescribe medicines that will benefit patients undergoing physical therapy. If approved by the government, physiotherapists wanting to gain rights to prescribe will have to apply for board endorsement and meet certain criteria. Physiotherapists can also work online. The Australian Physiotherapy Association has also recently been highlighting research around Internet delivered physiotherapy services based from a study that internet-delivered treatments are effective in managing chronic knee pain. The Australian Physiotherapy Association has provided an outlook on what it thinks public physiotherapy services will look like in Australia in 2025. Click here for the ATAR for every physiotherapy course in Australia in 2018. ATARs were generally between 80 and 99. It takes a minimum of 4 years to become a physiotherapist in Australia. Please go to our physiotherapy infographic page for more information about the pathways to becoming a physiotherapist. Are physiotherapy graduates getting jobs? According to the Physiotherapy Board of Australia’s registration data, in December 2013 there were 24,166 physiotherapists with general registration in Australia, which grew to 31,419 by December 2018. There has also been an increase in demand for physiotherapy services with the rollout of the NDIS. However, there has been difficulty in obtaining data as to whether this means the workforce is in balance, or whether there is an oversupply or undersupply of physiotherapists. 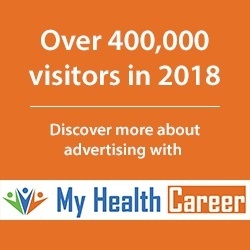 The Australian Job Outlook suggests that there will be approximately 13,000 total, or 2,600 job openings for physiotherapists each year in the 5 years to 2023. The 2014 Health Workforce Australia report stated that there is often a higher turnover of physiotherapists than other health professions, and that physiotherapists seeking longevity in a clinical career need to monitor and maintain their own physical health due to the demands of this work. How much money do physiotherapists earn? In 2018 the statistics on myfuture reported that full time physiotherapists earn an average of $83,616 per annum. 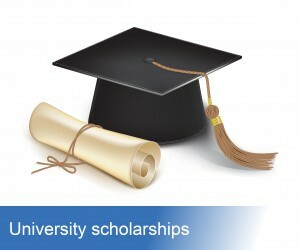 Click here for our university scholarship listing. Click here to go to our videos about a career in physiotherapy from real physiotherapists. Click here for the latest news about physiotherapy.